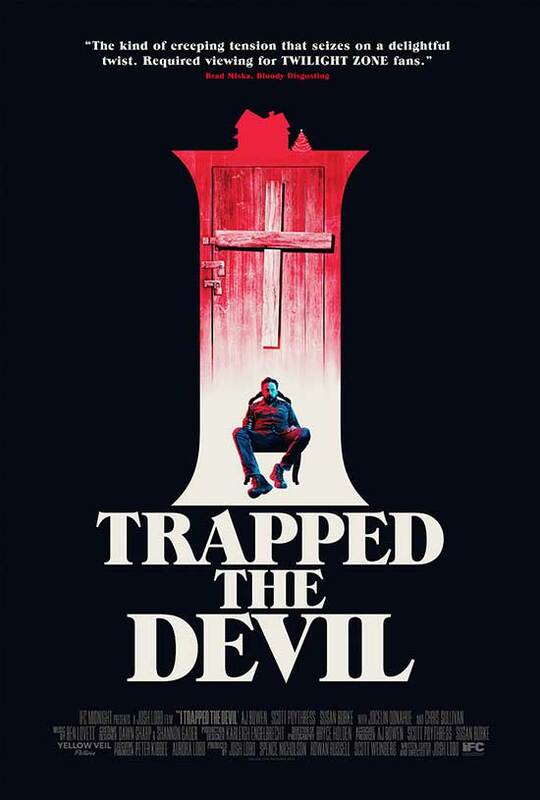 Home | News | IFC Midnight presents I TRAPPED THE DEVIL – In Select Cinemas and On-Demand April 26th – Poster and release date announcement! IFC Midnight presents I TRAPPED THE DEVIL – In Select Cinemas and On-Demand April 26th – Poster and release date announcement! Christmas is supposed to be a time for peace and joyful family reunions. But when Matt (AJ Bowen) and his wife Karen (Susan Burke) show up unannounced at the home of his estranged brother Steve (Scott Poythress) to celebrate the holidays, they are instead greeted with a horrifying surprise: trapped in the basement is a man. But not just any man. Steve believes that his hostage is none other than the devil himself. As shock and skepticism turn to fear and paranoia, Matt and Karen find themselves facing a terrifying quandary: is Steve dangerously unhinged? Or could the mysterious stranger really be evil incarnate? Either way, the stage is set for a true Christmas from hell.